WINSTON-SALEM – A fourth-place in the 3,200-meter run by Alexander Central High’s Cooper Castellaw was the top finish on Saturday by Northwestern 3A-4A athletes in the state 3A indoor track and field championships. Castellaw finished in nine minutes, 33.46 seconds at the JDL Fast Track in Winston-Salem, helping the Cougars tie Mount Tabor for 21st in the team standings. Weddington had 99 points to win the boys’ championship while Cuthbertson scored 102 points to win the girls’ title. The top finish among girls from the Northwestern 3A-4A was a seventh by Sophia Rittle of Watauga in the 3,200 (11:29.72). Other top 10 finishes in boys from the conference included Dalton McGlamery of St. Stephens, sixth in the 1,600 (4:29.78) and a tie for sixth in the pole vault for Tristan Borlase of Watauga (12-0). Also, Jesse Schronce of Alexander Central placed seventh in the high jump (6-0), Luke Drummonds of Watauga took eighth in the triple jump (43-0) and Logan Ellis of Alexander Central was 10th in the 1,000-meter run (2:44.57). In girls’ events, Watauga was 10th in the 3,200-meter relay in 10:26.35. Just outside the top 10 were finishes by Ella Nelson of Watauga, Madison Ratchford of Alexander Central and Marris Schalk of St. Stephens. Nelson placed 11th in the pole vault (9-6), Ratchford was 12th in the shot put (29-5 ¾) and Schalk was 12th in the triple jump (33-6 ¼) and 15th in the long jump (15-9 ¾). 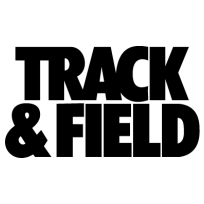 Editor’s note: The Northwestern 3A-4A had no individual finishes of note in the state 4A indoor track and field championships on Saturday, also held in Winston-Salem. For results, visit www.nchsaa.org.